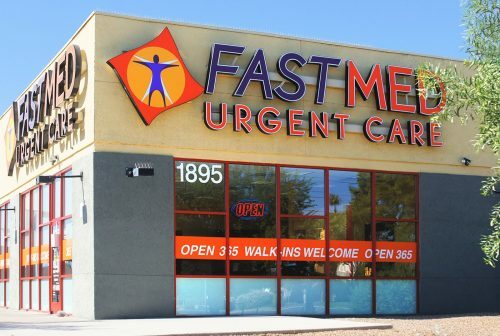 Work for the largest non-hospital based urgent care company that has been awarded Joint Commission’s Gold Seal of Approval® for accreditation. Masters in Nursing or Physician Assistant Studies. Physician Assistant or Family Nurse Practitioner Experience: 1 year mandatory, 2-3 years in ER or Urgent Care preferred. Reading/Interpreting X rays, I&D’s, ECG, Splinting & Suture Experience. Do you have Physician Assistant or Family Nurse Practitioner Experience: Mandatory 2-3 years? Do you have UC or ER Experience? Do you have Reading/Interpreting X rays, I&D’s, ECG, Splinting & Suture Experience? Do you have Your PA or FNP State License or Certification? Are you willing to Travel 30-60 Minute Commute? Are you interested in Part Time minimum of 20 hours weekly? Located on the corner of Valencia Rd. and Headley Rd., next to USA Pawn & Jewelry and across the street from CVS, just west of the Walmart Supercenter and Dairy Queen. *To qualify for our PriorityAccess program, you must complete the entire e-Registration process. Returning patients who have already completed their registration during previous visits, do not qualify. Program details, dates, and duration are subject to change. We reserve the right to see other patients first in cases of medical or health emergencies. Upon arrival, e-Registered patients must still check-in with the front office staff.